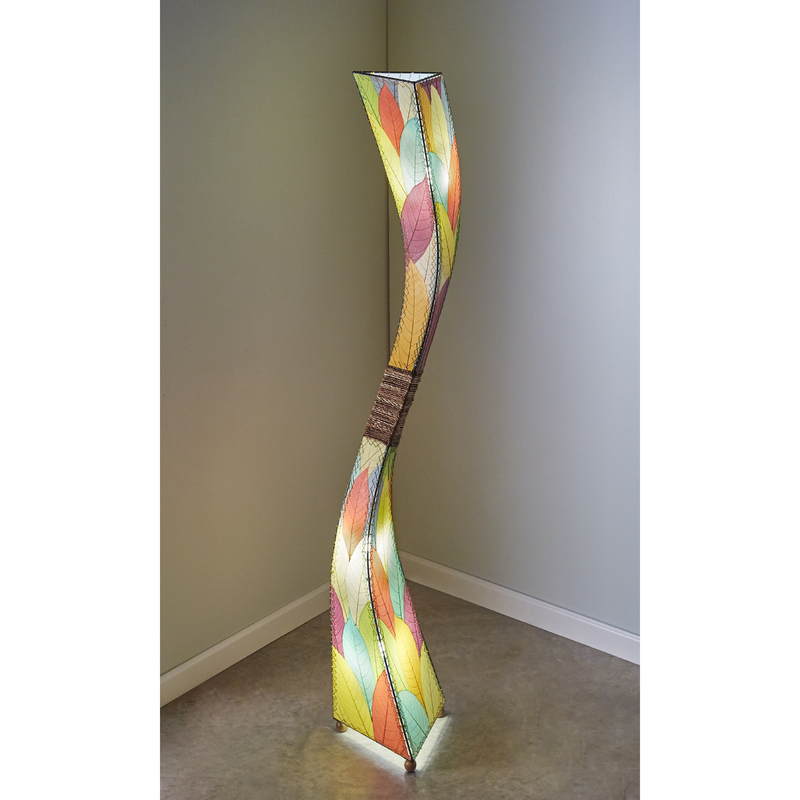 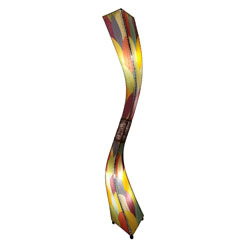 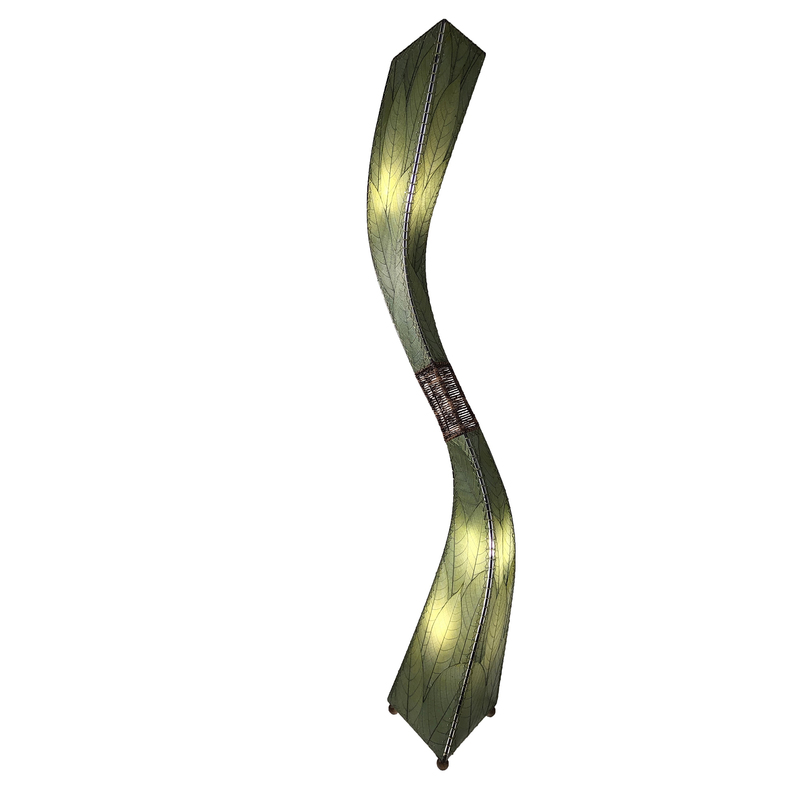 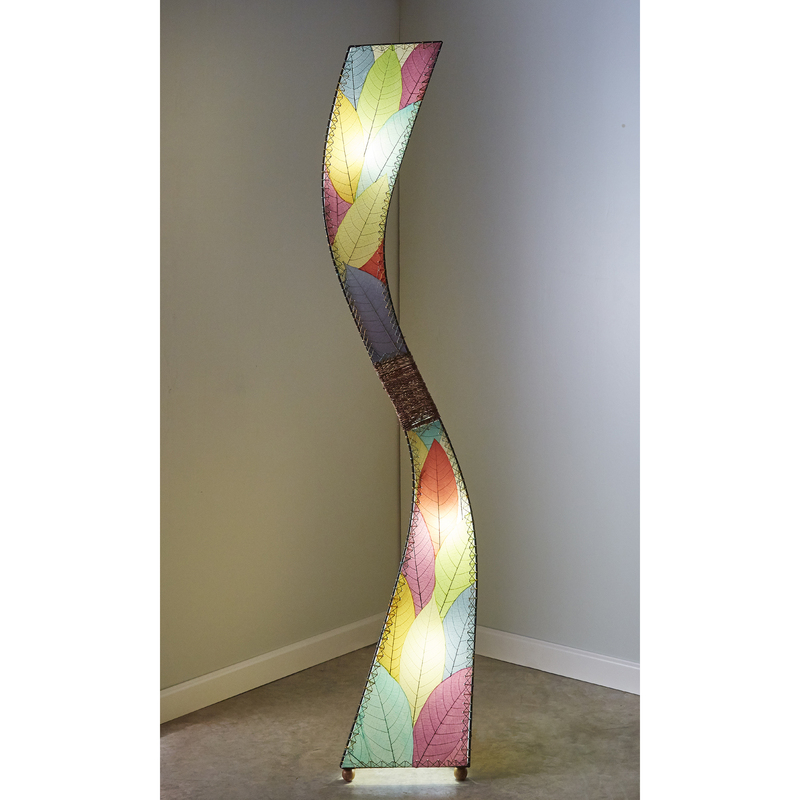 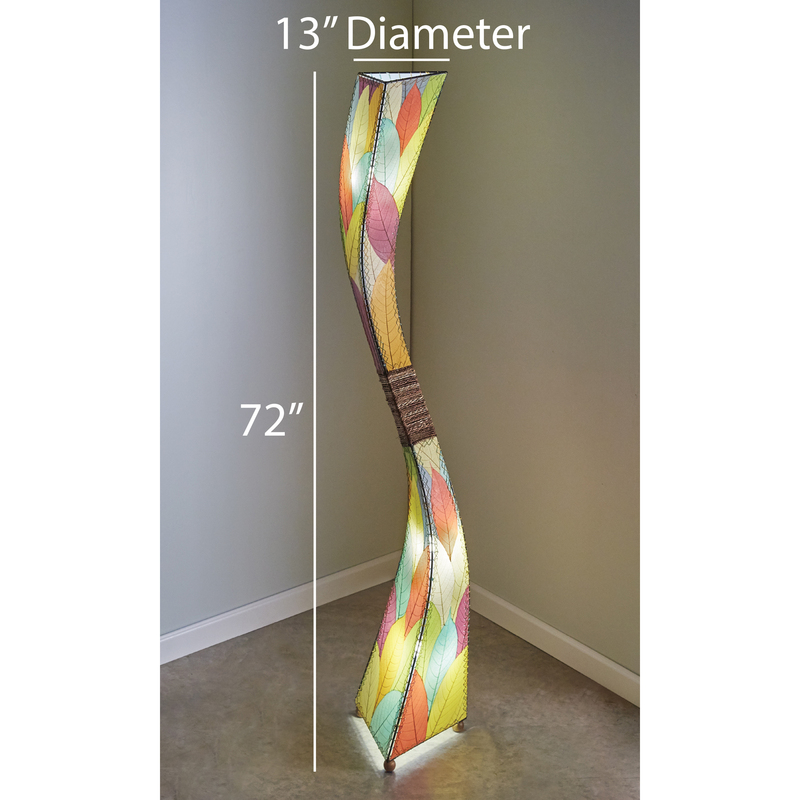 An example of abstract art design, the Flow Series utilizes strong fluid motion throughout the length of its sweeping body. 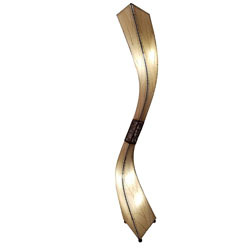 The wide base affords the lamp balance while its sculptured shape yields sophistication. 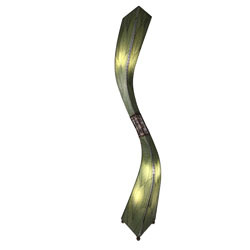 Features fossilized cocoa leaves arranged vertically that are hand placed on a standard UL lamp backing and then laminated using a non-toxic adhesive, creating the side panels of the lamp. 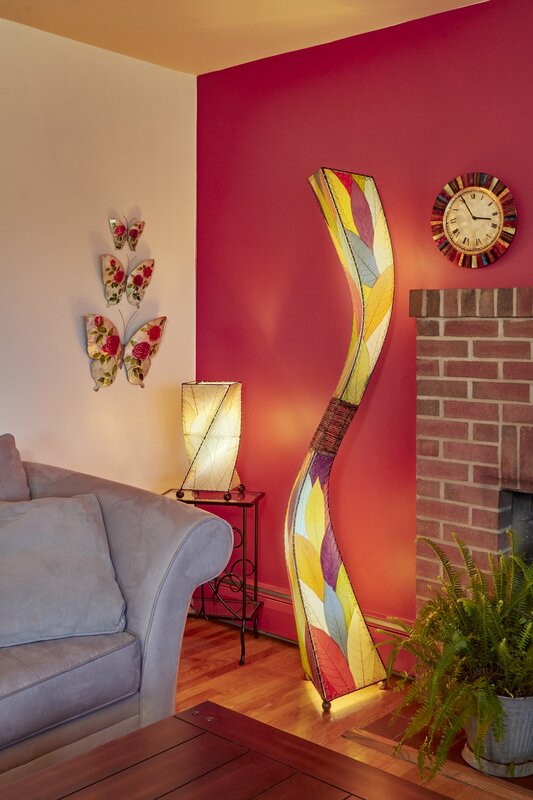 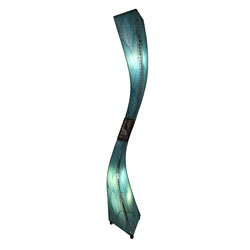 The panels are handstitched onto a powder coated, wrought iron frame to form a curvy design. 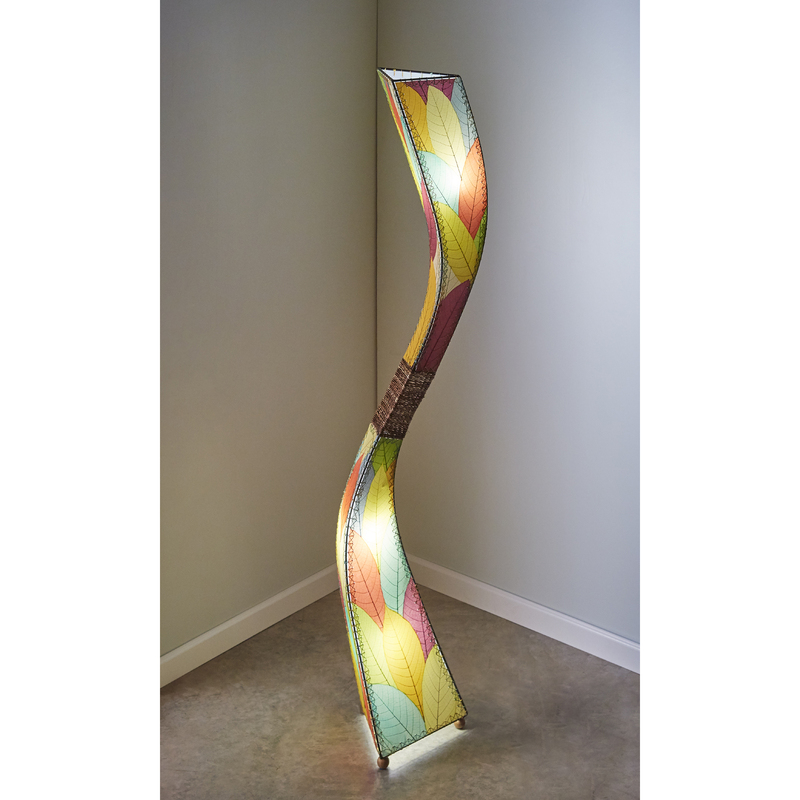 The center of the lamp is accented with a thin abaca rope which is woven around the metal framing.